What did you do this holiday? If you are like me you observed Children’s day and Democracy day. But most likely you just had 29th off, if at all. To ensure it was a memorable holiday, I made sure I attended as many events as possible in my area. In that light, I was part of the live audience at the maiden edition of the Global Gospel Talent Show at the Foursquare Gospel church in my estate. I enjoyed the two- day event, with the singing and sweating, contestants showing confidence or fear, forgetting lines or whole verses, or even holding the microphone and not remembering the song they had planned to sing! It was exciting connecting with them all. But someone I had to speak with at the end of the program was one of the judges. 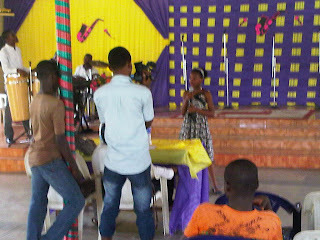 With her petite form and youthful look, I had to ask one of the organisers why she was a judge. Turns out Miss Joy Uviekugbere won the Foursquare district teens singing competition about four years ago. And has kept at the music gig, working hard enough to become an authority in the music department. She had even considered entering for the current event when they called her up and asked that she be a judge, and from her analysis of the finalists and how they decided the winners, I’d say the organisers were right in their choice of judges. I love the spirit that says, ‘this is new to me, but let’s try it.’ Those are the people that beat all odds to become the quotable somebodies of this world. There’s room for us, so make that decision to join me! Yesterday was my son’s birthday, and I tell ya, it took a lot of courage to decide that all we were going to get was a cake. Just that. One saving grace was that he is just two years old, so I didn’t get the possible attack; “Mommy, everyone who had a birthday also gave gift packs with their cake. Won’t you even give them something to drink?” He and his friends posed docilely for their pictures with the cake, then ran off to play and left all other concerns to Momma and Company. I’m glad he doesn’t yet care about those things, because my mind was already crucifying me adequately for not doing what all the other parents usually do during birthdays, and that reminded me of my last tv show. No, it wasn’t my show, I was a guest on Toyin Ohio Alegbe’s talk show ‘Ladies Love Gisting’ (LLG), and the topic was Overcoming Intimidation. I mean, that’s an uncommon word, yeah? I mean, how many times a year do you hear this word used in a sentence? Not often. However, it is something that happens every day to everyone. · For all your complaints that someone is intimidating you, you may very well be intimidating someone else too. · Intimidation will never work unless you allow it to. The cure to being intimidated is never allowing it to get a hold on you. You have to develop positive self-protective measures that guard you from being intimidated by what your friends and contemporaries have that you don’t. And while doing so you have to watch against being catty or spiteful or falling into the trap of having to intimidate someone else just to prove to yourself that you are as good as the person you are intimidated by. So when I made up my mind three days to the birthday, to just make a child-friendly cake, and suddenly go sugar-free and healthy with water, I did it with confidence, because men, there’s no advice so useless as the one you give others but never use. I saved myself time, stress and money. And at the end of the day, in these wee hours typing this post, I see that everyone has gone to bed, and a birthday has come and gone. Today’s worries fade to yesterday’s notes. And the new day dawns with new decisions and expenses. When we wake up, who’ll come and ask me why I served only cake on my baby’s birthday? You? Please, get real, that is so yesterday! 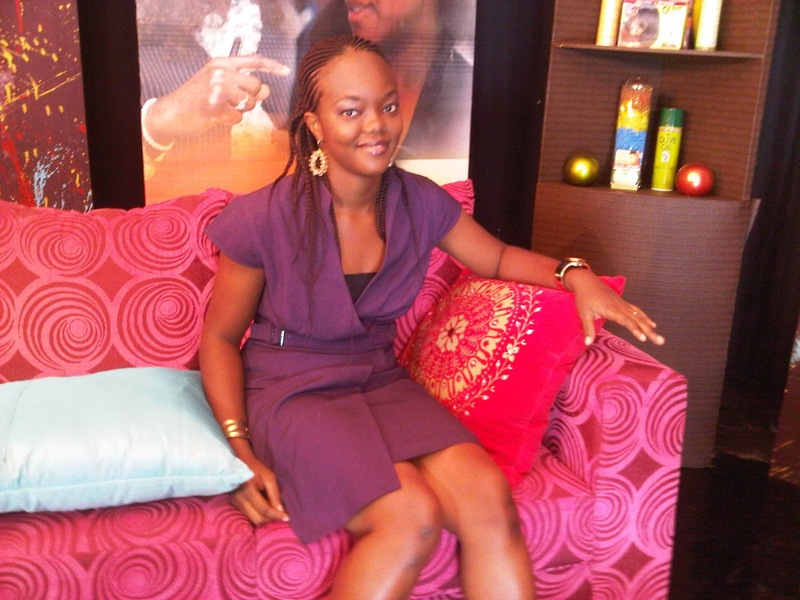 And before I forget, happy birthday in arrears, my darling Rhema. Comedy and betrayal outdo romance in this story about a woman Stacy Holt (Brittany Murphy) who goes in search of her boyfriend’s exes to find out if he lied to her about them. One twist that floored me was the deceit of people who one might call friends, and how some people take art to the extreme sometimes. While I enjoyed the intrigues, my most interesting moment was when she met Carly Simon (who sang “Nobody Does It Better," the theme song for the 1977 James Bond film The Spy Who Loved Me) and passed out. She had been on the phone with her mother before she fainted so Carly had to take the phone and identify herself to the mother after explaining to her that her daughter had just fainted. And on hearing the singer’s name, the mother passed out as well. I must confess, I googled up Carly Simon because I wanted to know what she had done in this life that could cause two people to idolise her this much. Forget fiction or movie, there had to be a premise for that scene. What I found amazed me. This lady was doing a lot of the things I only dreamed of doing. She’s a singer-songwriter, musician and children author. Now think about this, maybe, just maybe, you decided to do exactly what you always wished to do, someone might one day dream of meeting you the way you are dreaming of meeting someone who’s chased after their dreams and achieved. There’s no mountain higher than your desire. The same dreams you have someone somewhere has had them and gone on to achieve them. Don’t be afraid that you’ll get to the top of the mountain and then have nothing more to conquer. The truth is, when you get to the top, you have a view of the horizon, and I tell you, it will be filled with even more mountains to overcome. So don’t be scared, climb this mountain of promises with the rope of desire and diligence. One day soon, someone will have a dream answered by meeting you, his icon, face to face. Previews could really do damage to a movie’s viewership. My friend Ann and I went to the cinema recently. We had been lured in by the movie Avengers, but by the time we arrived fashionably late, the theater had been fully booked. So was the hall for our second option; Project X. 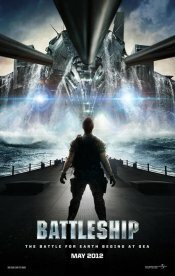 One movie had just started though; Battleship. We almost turned and left, but since she was traveling back to her state of abode the very next day, we decided to just make do with Battleship, a movie starring Taylor Kitsch, Liam Neeson, Alexander Skarsgård, Rihanna and Brooklyn Decker. Why make do? We had seen the preview, and neither of us was ready to sit through another Pearl Harbor. However … I must confess; the movie was anything but routine military. It was funny and action packed, even the aliens were almost too funny to be scary. I had my two-year old son with me, and he thoroughly enjoyed the first twenty-five minutes, before he closed his eyes and slept through up to five loud vessel bombings. I tell you, that child is a wonder. Rihanna didn’t do badly by my standards. I think she just decided to guess what Halle Berry would do and followed suit. I loved Liam’s soldier-father act, and I did think saving the world was a long way to go for Kitsch's character to get a job back. But it made for a great story line. Definitely worth the money. Moral of the story: don't always rely solely on the previews. One hour thirty minutes cannot be comfortably packed into two minutes, or even five.